Now releasing their second album More Naked Than Obscene, preceded by the bustling, evocative, forthcoming 7” single Hailstones (23rd September 2013) we re-join Twelve Clay Feet in an energetic mood. From the first track their sound is as muscular as it ever was, yet always careful to keep melody at the core. More Naked Than Obscene proves a master-class in the re-imagination of key influences, while leaving a lasting watermark of its own. Stadium-sized opening track By The Station Light, with its bleak depiction of characters of-the-night, is soon swallowed up by the insistent Rags & Bones and rock n roll bravado of Wrecking Ball. Elsewhere on the record, Electric Pulse keeps the pace alive – it's an album that never loses steam. Already receiving comparisons to Kings Of Leon, Brian Jones Town Massacre and John Spencer, the band are picking up a cult underground following - a starting point from which the critics agree, should soon see them secure their well-deserved place in the ‘big adoring limelight’. Previous releases have been supported with sold out shows at The 100 Club, Liverpool’s Cavern Club and Birmingham’s 02 Academy. They also performed on the BBC Radio 1 backed Transit Tour. 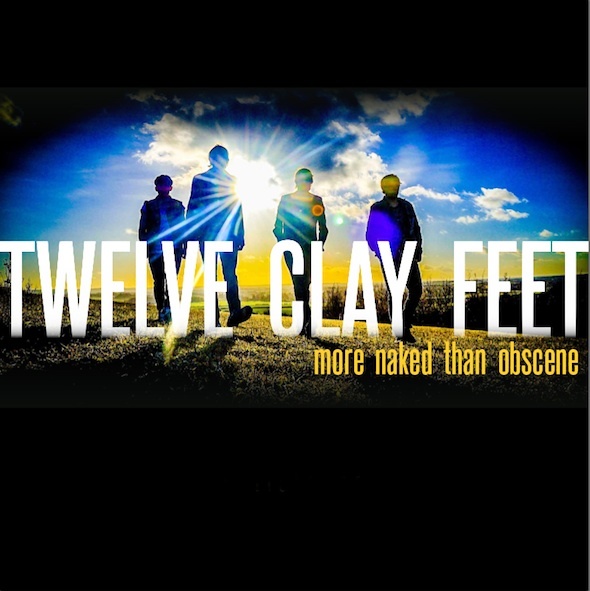 Twelve Clay Feet will soon be announcing additional UK tour dates this Winter.